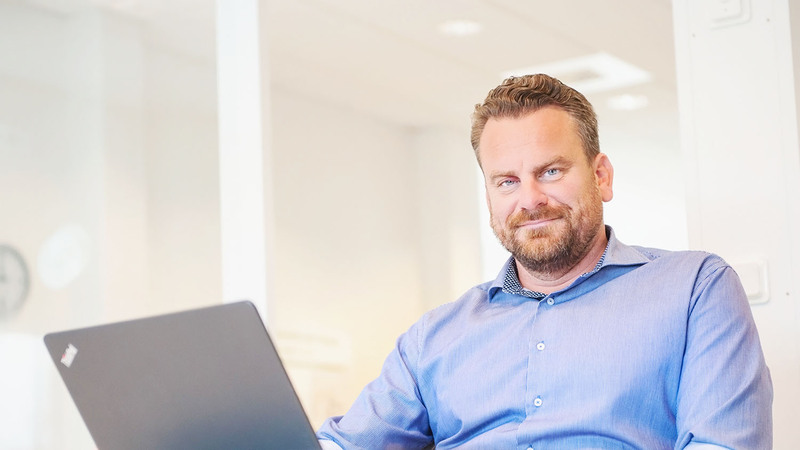 Christian Fagerström joined the Twister Group in January 2018 as our new sales manager heading the sales teams for the larger parts of Europe, Russia, Asia, Latin America and Oceania. Now, after being part of Twister for almost half a year, we thought we’d check in to see how he feels about Twister, his team and the future of chemical free floor cleaning. Let’s get to know the man behind the title. Before joining Twister, you were in a different industry all together? That’s right. I was part of the downstream oil and gas industry in a Swedish company that grew into a global group – in many ways quite similar to how Twister evolved from an innovation for chemical free floor cleaning into a brand and then into a global group. I think that’s why I feel very much at home with Twister and the Twister team. The business model and setup reminds me a lot of my old company, but here we get to work with sustainable models top of mind and an agenda that goes way beyond making a profit. It’s easy to go to work when you truly believe in the products and the team behind it. What attracted you to join Twister? Twister is a company that shares my personal values of working for something bigger than delivering financial results. We believe in great service, great results, great customer value, but we all also want to make that sure we are leaving a better and cleaner world behind for the next generations. This is what drives Twister, and the reason behind why we have a full range portfolio of diamond cleaning pads for chemical free cleaning on all types of floors and for all types of applications. With a background from an industry based on fossil fuels, it feels good to switch focus to green solutions and how to address the challenges of implementing more sustainable methods in an industry that still mainly rely on chemicals to produce results. At Twister, we know there is a better way. What’s your feeling now after being part of the Twister team for six months? I have honestly joined an amazing team. The depth of knowledge, the drive and ambition level is through the roof at our offices across the globe. We all want to make a difference, not just for the industry, but for the world. Our partners and distributor networks are right there with us. It’s a great feeling to be part of a team like that. Which is your favorite Twister pad? Twister Pink, because of the versatility and superb results the Twister Pink delivers. It’s the ultimate pad to achieve high cleanliness and brilliant gloss in high traffic areas, like a high end shopping mall. You’d think a floor is just a floor, but really, a clean, shiny floor makes you want to stay and enjoy the shopping experience longer. I never actually noticed this before I started working at Twister. Now the first thing I see when I walk into a store is the condition of the floor, and it’s true, a dull floor just makes me want to leave and go do my shopping somewhere else. Obviously, part of noticing is because it’s my job these days, but I still can’t believe how much of an impact the floor condition has on the shopping experience.